Who doesn’t know the meaning of the four Hs in the 4-H movement—head, heart, hands, and health? 4-H programs operate in every U.S. state and, through the International Farm Youth Exchange, in 81 countries. Earlier this year, for example, Global 4-H received a $1.5 million grant from the Bill & Melinda Gates Foundation to create 4-H programs in Sub-Saharan Africa. It shouldn’t be surprising, then, to learn that despite the withdrawal of U.S. troops, 4-H is staying in Iraq. There are currently 4-H programs in each of Iraq’s 18 provinces serving some 3,000 Iraqi youth. 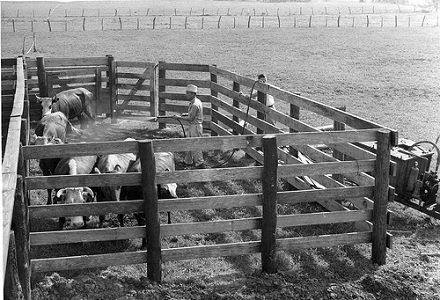 The first precursor to 4-H started in Clark County, Ohio in 1902 and expanded with a number of 4-H clubs a decade later. The clubs were effectively established as a national movement in 1914 with the enactment of the Smith-Lever Act, which created the U.S. Department of Agriculture’s (USDA) Cooperative Extension Service, the 4-H movement of connecting families and kids to practical, hands-on agricultural training.